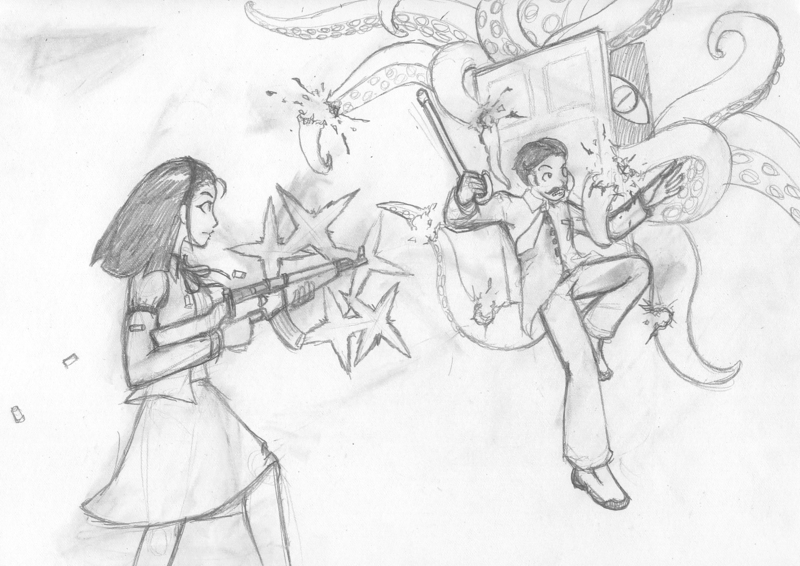 These are sketches found scattered on Agent CarrionTrooper's desk. 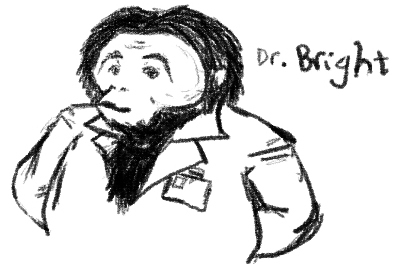 A sketch of what appears to be the decomissioning of scp-083-d.
A sketch of Doctor Bright, in an orangutan body. 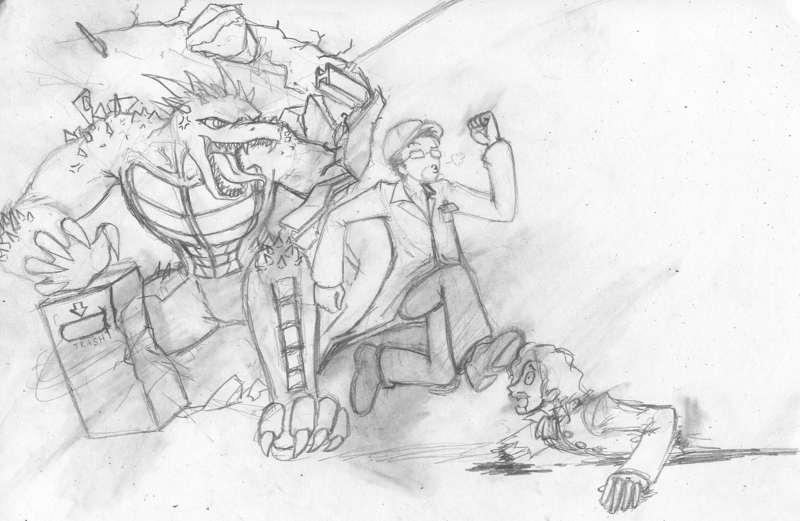 A sketch of Doctor Snorlison and his secretary Break, during an investigation in a dimensional rift. Complete documentation could be found in [CLASSIFIED].